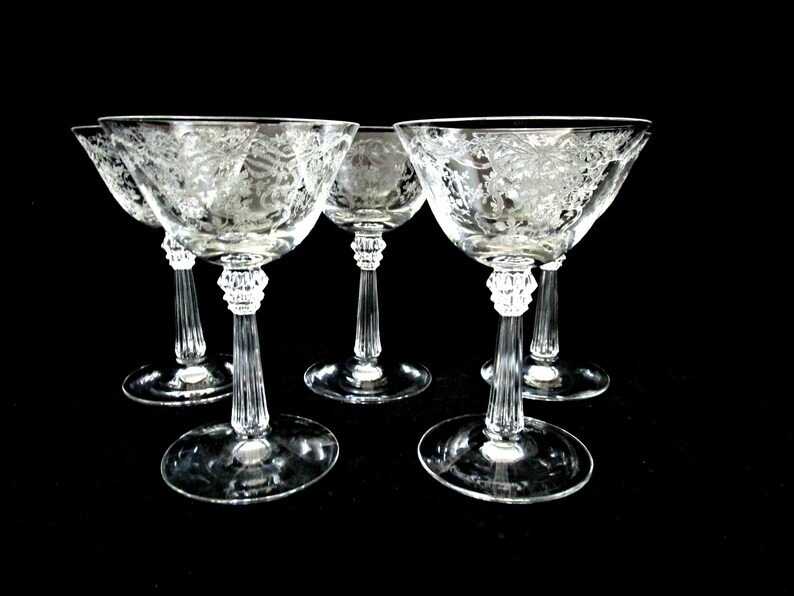 Beautiful and ever popular, this is a set of 5 Fostoria Romance pattern Wine Glasses or Sherry Glasses. The pattern is fashioned as a lovely bow, with tendrils of flowers flowing downward. Add a little Romance, this pattern is gorgeous. Each crystal goblet measures 5 3/4 inches high and has a diameter of 3 3/4 inches at the top lip.